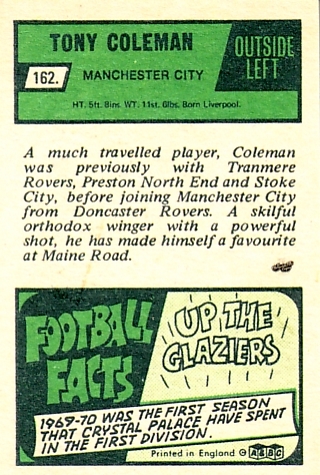 Tony Coleman signed from Doncaster on 16th March 1967, and brought with him a reputation as being a bit of a hellraiser. 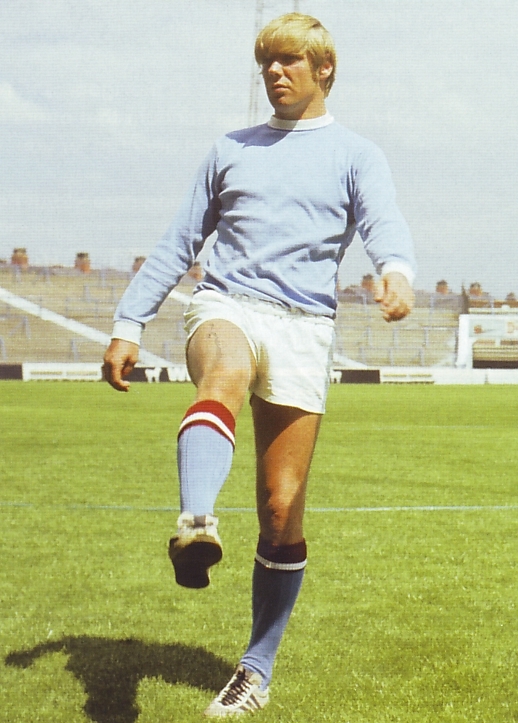 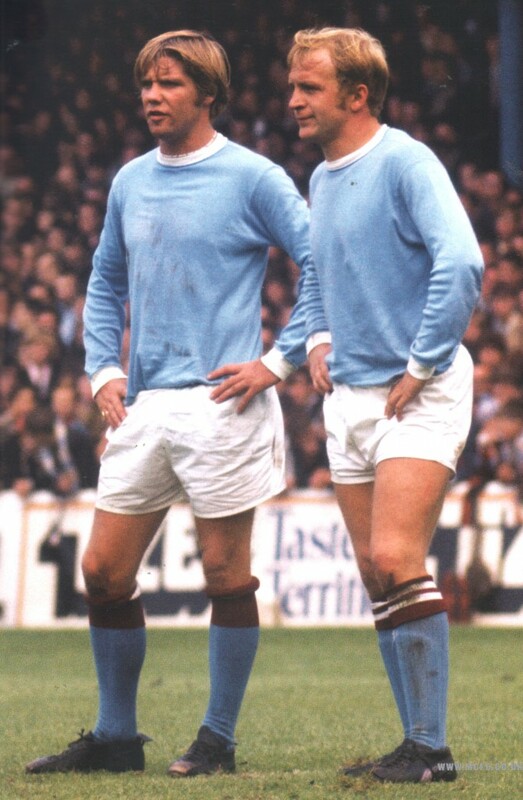 Most managers wouldn’t touch him and Joe Mercer was convinced at first, that the player would be nothing but trouble. 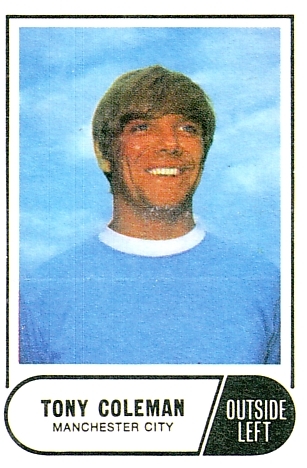 Coleman’s past record seemed to back that up, Stoke City had alledgedly thrown him out, Preston said he was unmanageable, so he ended up at non-league Bangor City before Doncaster brought him back into league football. 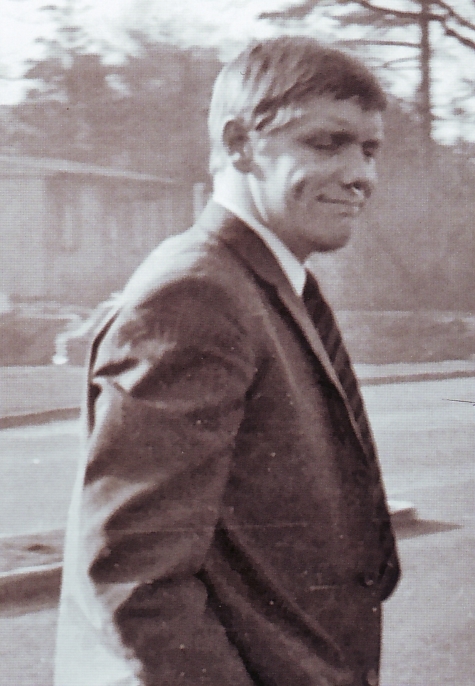 In October 1969 TC as he was known to his team mates was transferred to Sheffield Wednesday. 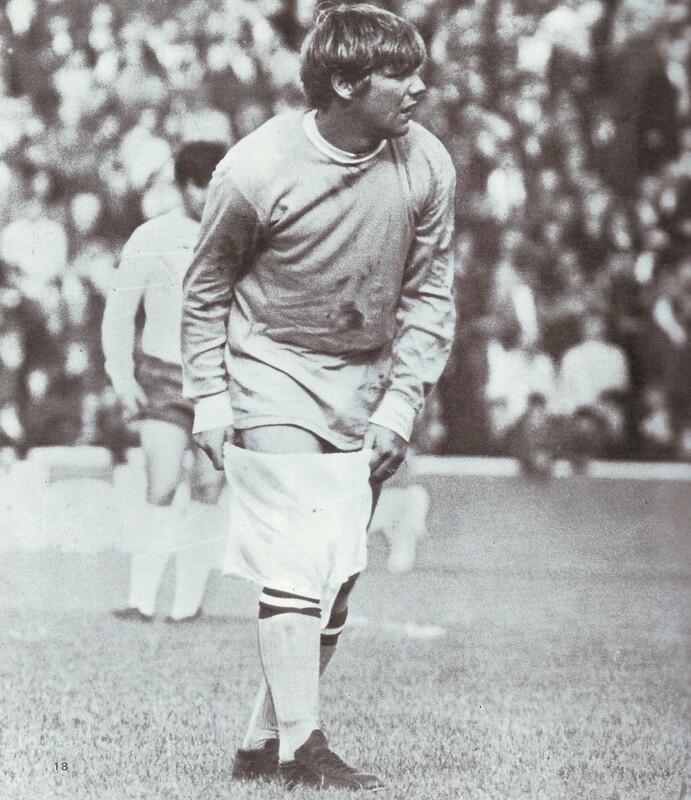 Having lost his place in the City side to Ian Bowyer. 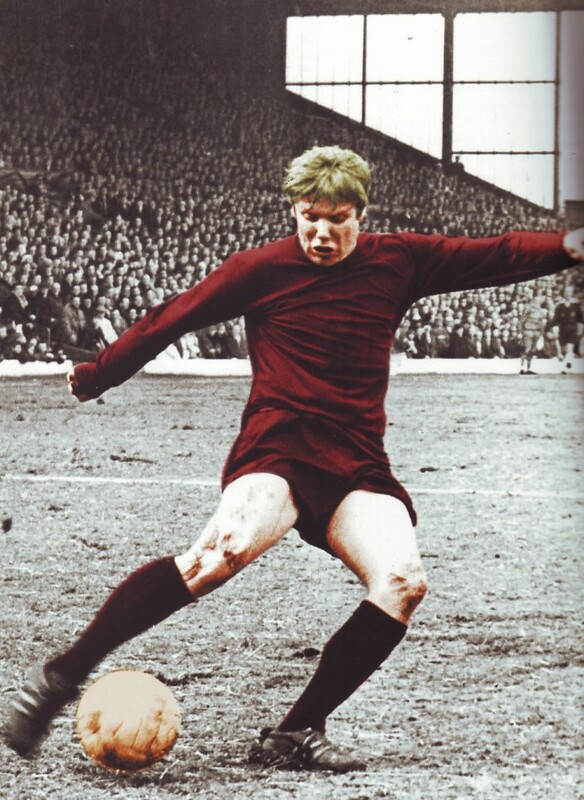 Played 82 League Games, 10 FA Cup Ties, 7 League Cup Ties an had 2 appearances in the European Cup.